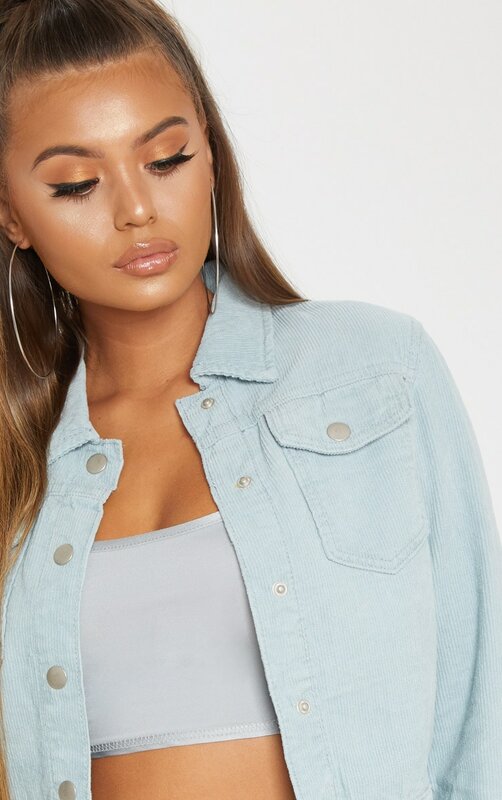 We're still loving pastels babe and this jacket is cute AF. Featuring a dusty blue cord material and slight crop. 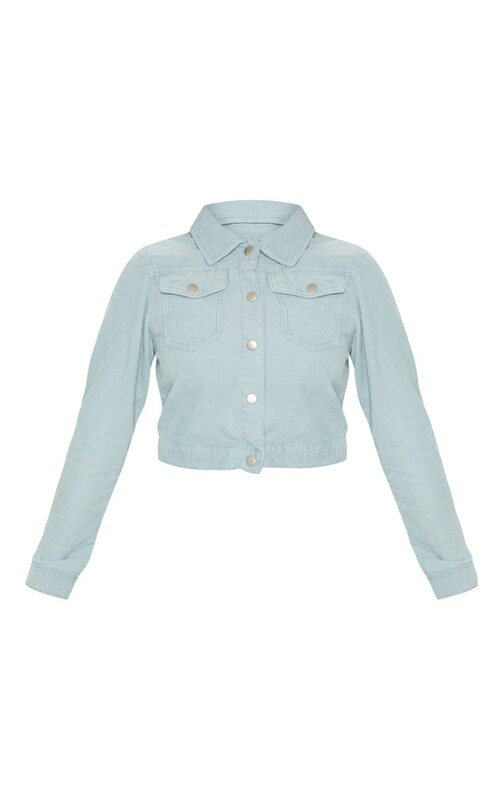 We love this teamed with the matching skirt for a 90's vibe.